Long ago, I co-wrote a policy paper advocating for a teacher evaluation system that acknowledges that evaluation is a conversation that requires the context of a professional learning community, with input not only from the administration, but furthermore one’s peers. While a pre and post-conference is included in most current eval systems, the reality is that the focus is on 1) compliance (paperwork), 2) the stakes/consequences attached to that paperwork, and 3) the demands of a very subjective rubric, rather than on the practices and content that will move learning forward for students. So it should come as no surprise that few teachers are rated poorly by their principals. These systems have become all about summative evaluation, rather than formative feedback, and thus have lost sight of the real purpose of the system in the first place — to improve teacher practice and student learning. Effective principals will use the system to have those conversations — but they won’t rate their teachers poorly on paper unless they are intent on pushing them out the building. Partisan tensions between individualism/choice and systems/regulation in action. He’s talking about higher ed. But this also applies–arguably, even more importantly–in K-12. It shouldn’t. Unfortunately, however–in our country, in these times–it is. 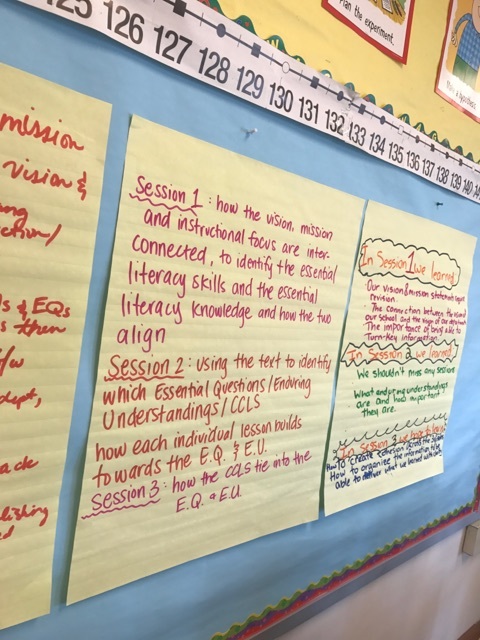 This Bronx school is applying what we know from decades of research: repeated quizzing and practice of key skills and concepts, spaced out over time, transfers learning into long-term memory. Kudos to MS 343. When you think about just how much of an outlier this approach is, it’s pretty disturbing. Most schools do not have a coherent and systematic approach to what they teach, nor consider how they are reinforcing what is most essential to learn across grades and classrooms. This is a useful list of a few pedagogical methods worth spending time mastering from UK educator Tom Sherrington, which are based on Deans for Impact’s advice for deliberate practice. I think Weisberg’s suggestion makes much more sense: set a time limit on how long someone can be in the ATR pool. Randi Weingarten calls Devos’s brand of choice what it is — but what is her union doing to fight segregation? I think Weingarten is pointing out an inconvenient truth by calling vouchers a “polite form of segregation,” given their history and the folks that most typically foam at the mouth over them. But I do wonder what exactly she and her union are doing to fight segregated schools. Public schools are doing plenty on their own to contribute to segregation without any consideration of charters nor vouchers.